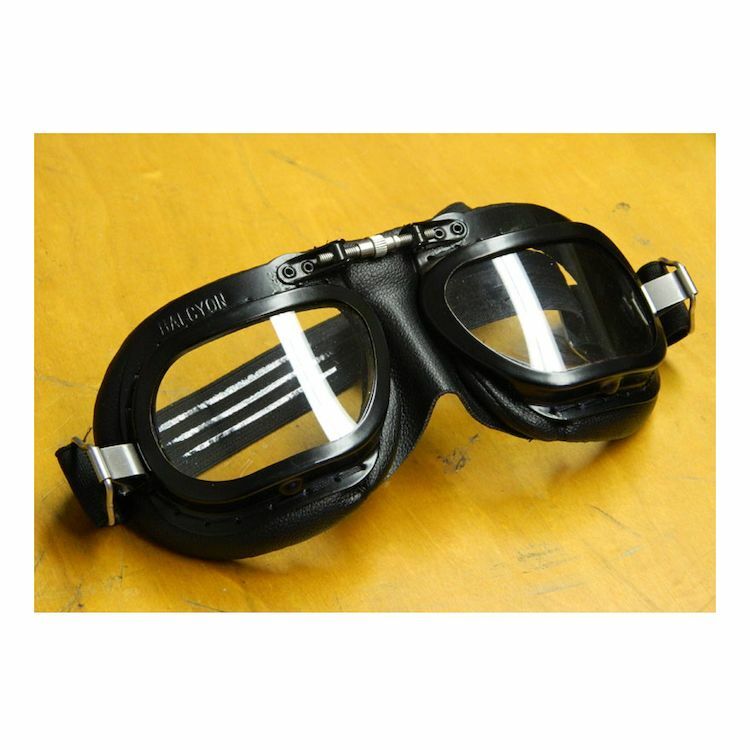 The classic Halcyon Mark 10 Racing Goggles give you classic looks and are hand made with the finest materials and attention to detail. The MK10 Goggles have a semi-gloss black painted solid brass frame which is hand-stitched to a soft synthetic leather black facemask. The nose bridge screw is made from quality stainless steel and allows the size of the goggle to be adjusted for individual comfort. First they are nicely made and seem like they could really last- I've only had them a month, but just what you'd expect from a company with WWII history. I've tried a few other goggles and there are none better that I've found so far. Ventilation and vision is terrific. I like the full rounded lens opposed to the abrupt angle on the others. Clean vision with no breaks in sight line. The frames are well made and work exactly as they should. The padding is comfortable on rides of about 2 hours or so, after that I feel pressure on my cheek bones. Not sure if it's me or my choice of helmets. Ridden with brain bucket and full open face. The brow part of the helmet sometimes pushes down on the frames putting pressure on the bottom/cheek area. Strap is nice and grips well.. Finally, they look really good when pulling off the vintage/retro vibe.